Typically sick or injured people don't even consider the possibility that the educated and experienced surgeon they have chosen to help them get well might make such a simple error such as forgetting to remove a surgical instrument (leaving something inside the body at the conclusion of surgery). Unfortunately, surgical items get left behind far more frequently than people realize. Within the medical industry these cases are referred to as Retained Surgical Items (RSI). Surgery can be very, very complicated. Precision is key. There is no margin for error. Items such as sponges, clamps, forceps, scalpels and other surgical tools are typically counted and recounted before and after a surgical procedure to make sure that nothing is left behind. But surgical tools are left behind in patients every day leaving patients to face additional operations to remove the abandoned equipment. Sometimes the mistake is not discovered for years and causes numerous other medical complications or death. Medical professionals are more likely to notice a missing scalpel or. Soft materials such as gauze and sponges are very difficult to detect once they are soaked with blood and they can pose larger threat because they can fester inside a body causing serious infections. 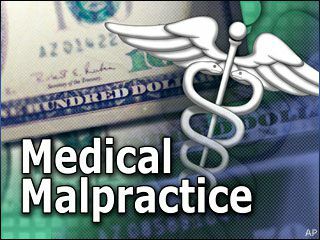 Victims of surgical mistakes such as these have a solid, easy-to-prove case of medical malpractice. Injuries and death due to surgical instruments left in the body do happen in Western Washington hospitals. Surprisingly these cases are not generally reported in the media. And studies have shown that hospital administrators under-report such incidents. Davis Law Group frequently receives calls from people who have been the victims of surgical mistakes at top notch hospitals such as Swedish Hospital, Virginia Mason and Seattle Children's Hospital. If you or a loved one has been the victim of a surgical mistake or surgical equipment left in the body contact medical malpractice attorney Chris Davis at Davis Law Group to schedule a free legal consultation. Call 206-727-4000. The call is free. The information may be priceless.